Despite countless examples of video evidence to the contrary, frolicking felines aren't YouTube's only homegrown celebrities. Chattanooga-based musician/comedian Jarrod Alonge, 21, has never felt the urge to sharpen his claws on furniture or pounce on balls of yarn, but he's still managing to make a living off the videos he posts to his YouTube channel. Since joining the site in 2009, Alonge has used a mid-range Canon digital camera and editing software on his MacBook Pro to produce more than 300 videos, mostly satirical comedic sketches about various bands and genres of music. With more than 71,000 followers -- unpaid "subscribers" in YouTube terminology -- and about 7 million video views, he's one of the most popular YouTube users in Chattanooga. By comparison, the official Volkswagen YouTube channel has 86,000 subscribers. As a student at Tennessee Technological University, Alonge supplemented his income with his share of the revenue from ads displayed on his videos. This summer, however, YouTube became his sole source of income, "enough to pay rent, utilities and food," he says. "It's still just for fun," Alonge says. "Making money is an added bonus." His most successful post -- a tongue-in-cheek skewering of pop-punk vocalists -- has been viewed more than 920,000 times. Despite describing it as "a very dumb video," it pulled in $100 in just a couple of days after he uploaded it. Although he's not about to look YouTube's gift horse in the mouth, he says the fact that he's become so popular is somewhat mystifying. "I try my best to not be self-deprecating, but it still baffles me why I have 70,000 subscribers," he says. Alonge is far from alone in earning a bit of scratch off his channel. According to media analysts Nielsen, YouTube reaches more U.S. adults in the advertiser-coveted 18-to-34 age range than any cable TV network, and YouTube long ago recognized the appeal to advertisers of having that demographic's eyes and ears. In 2007, the site initiated Partners Program, an invitation-only pilot that let owners of some popular channels share a percentage of the revenue generated by posting ads before or onscreen during their videos. "For many of our creators, turning their passion into profit is an important aspect of the YouTube platform," says YouTube partner product manager Andy Stack in a 2007 video tutorial explaining the newly minted feature. "From a creator perspective, we want YouTube to be the optimal platform where you can produce that content and make sustainable revenue from it." That advertisers see YouTube as a worthy investment is perhaps unsurprising, given its almost incomprehensibly massive proportions. In the near-decade since it was founded in 2005 by a trio of PayPal expats, YouTube has attracted more than 1 billion active monthly users, according to its self-reported statistics. Every minute, content creators upload 100 hours of footage and, on a monthly basis, viewers spend a collective 6 billion hours -- about 684,000 years -- watching it. Eventually, YouTube began accepting applicants to its ad-share Partners Program. To date, the site reports that there are now more than 1 million channels in 30 countries that earn money by displaying ads on their videos. Of these, "thousands" are earning more than $100,000 a year, the company reports. YouTube typically keeps 45 percent of its ad revenue and passes the remaining 55 percent along to its content creators. The amount per video can range from $1,000 to $9,000 per 1 million views, according to a video monetization guide on Lynda.com by music producer Bob Owsinski. Last December, analyst eMarketer estimated that YouTube had raked in about $5.6 billion in ad revenue in 2013, a 51 percent increase over 2012. Not everyone wants a slice of that pie, though. Eight years ago, Chattanoogan James Howell began using video-capture equipment to record clips of himself playing video games, which he then posted to his YouTube channel, ShockleyHaynes. With dozens of videos, including walkthroughs and commentaries of popular titles such as "Dark Souls," "The Last of Us" and the "Metal Gear" series, his channel now has more than 2,300 subscribers and more than 3.4 million views. Video game-related channels such as Howell's account for some of the most popular content on YouTube and have helped users such as SkyDoesMinecraft and PewDiePie earn their primary income by playing games and sharing their experiences with others. According to estimated earnings reported by social media analyst Social Blade, some of these channels could be earning more than $1 million a year in ad revenue. 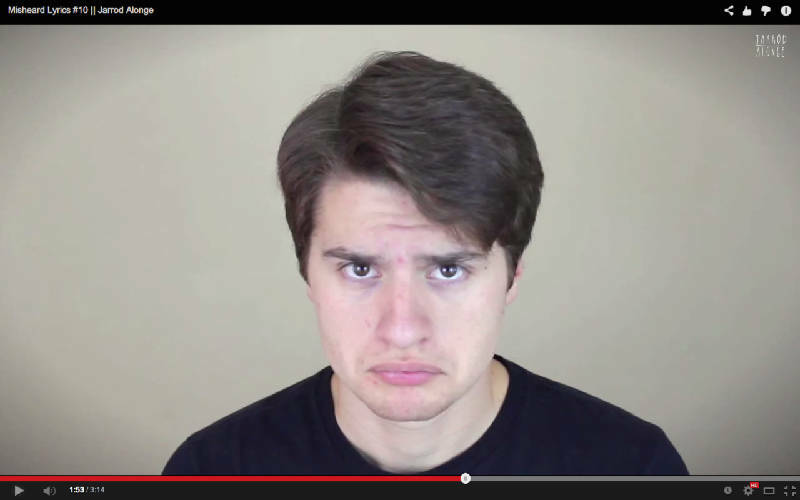 Despite frequent offers to help monetize his channel, however, Howell says the prospect of becoming a so-called "YouTubepreneur" was more off-putting than tempting. "I'm much more interested in making an impact in the video game sub-culture than with making money off my YouTube channel. Dealing with revenue would just be a distraction," he says. "YouTube is a platform that enables me to communicate different ways of thinking about video games. "I don't want to put any kind of wall between my content and its audience." In the case of Dimitris Agrafiotis, 42, his paychecks from YouTube stack up to far less than six figures, but the money takes a back seat to the sense of purpose he gets from his channel, the VapinGreek. Along with his wife, Agrafiotis, who co-owns Portofino's Italian Restaurant in East Ridge, were lifelong smokers until about four years ago. After discovering electronic vaporizer cigarettes -- so-called e-cigarettes-- and using them to successfully ween themselves off tobacco, Agrafiotis became a staunch advocate of the then-emerging technology. About two and a half years ago, Agrafiotis founded his YouTube channel, using it to post videos recounting the story of his own family's success as a way to bring others into the vaporizer fold. Since then, he has posted more than 140 videos, including reviews of starter kits and updates on governmental regulations of e-cigarettes. Because e-cigarettes are a relatively new product, they largely have become popularized and adopted via online word-of-mouth. As one of the technology's early supporters and reviewers, Agrafiotis quickly developed a following on YouTube. He currently has about 20,000 subscribers -- 10,000 of which were added in the last year -- and he's earning $300 to $400 a month in advertising fees from his channel. Considering that he started off with nothing but good-hearted, unambitious intentions, Agrafiotis says the fact that YouTube has made him a known entity in the vaporizer community is staggering. "When I got 100 subscribers, I was tickled to death, like 'Oh my god, people are watching my videos,'" he says. "In my wildest dreams, I never imagined this." But the true reward isn't the money, which he says he funnels back into buying new vaporizer products, covering his traveling expenses to e-cigarette industry trade shows and new equipment to film his videos. The true motivation, he says, is the people whom he's managed to touch with nothing more than a bit of web-cam advocacy. "Tobacco-related illnesses kill 400,000 Americans every year. We can change that," Agrafiotis says. "I can't tell you how many people I have helped. It's got to be up in the thousands now. "That's still humbling and still fulfilling to me." For its part, YouTube has long used advertising returns as a dangling carrot in the hopes of improving the quality of its popular channels' content. In the last few years, it has been courting that content -- and the subsequent bump in advertising dollars -- more ardently than ever. In 2010, YouTube announced that it had earmarked $5 million in grant money for its "most innovative and original content partners," according to a 2010 post to the company's blog. The funds, which certain channels would be invited to apply for, were to be used primarily to pad production budgets and, thus, improve the quality of content from YouTube's most popular users. Two years later, YouTube spent an estimated $150 million to seed the creation of 100 channels with star-studded, original content from well-known personalities and companies such as Pharrell Williams, Motor Trend, Shaquille O'Neal and Madonna. It later committed an additional $200 million to promoting that content. Also in 2012, YouTube opened the doors of YouTube Space, a professionally equipped studio in London with invitations to access the facility limited to a select group of content creators. These users were able to book time in the studio to record new videos using the latest recording and editing equipment as well as seek advice from experts. Since then, the company has opened similar studios in New York, Los Angeles and Tokyo and expanded access to the facility to all channels that have passed a certain subscriber benchmark -- 10,000 in L.A., 5,000 in London and 100 in Tokyo. More recently, Google announced in April that, after years of refusing to allow outside parties to measure the success of ads placed on YouTube videos, it was extending a pilot-tested collaboration with standard-bearer Nielsen to place "online content ratings" on some of YouTube video ads. According to an April report by CNET, the Nielsen partnership will make advertising on YouTube more appealing by allowing companies to measure the impact of their investment in ads. That, in turn, should help line the pockets of both YouTube and its most popular channels owners, writes CNET's Joan E. Solsman. "By deepening the relationship between the two companies, advertising budgets may see more dollars diverted to the Web's biggest video platform from traditional television and could create opportunities for 'YouTube' stars to make more money, easing their access to a bigger pool of advertisers," Solsman says. YouTube has made a concerted effort to lure content producers with a trail of dollar bills, but not all users are motivated by a desire to get rich. Despite beings one of Chattanooga's biggest YouTube stars, Alonge says his interest in his channel is rooted in something else entirely. "I'm not the best at keeping my artistic integrity intact, but I try my best," he says. "I've always figured that the day I start doing it just for money is the day when it all goes downhill." Contact Casey Phillips at cphillips@timesfreepress.com or 423-757-6205. Follow him on Twitter at @PhillipsCTFP.